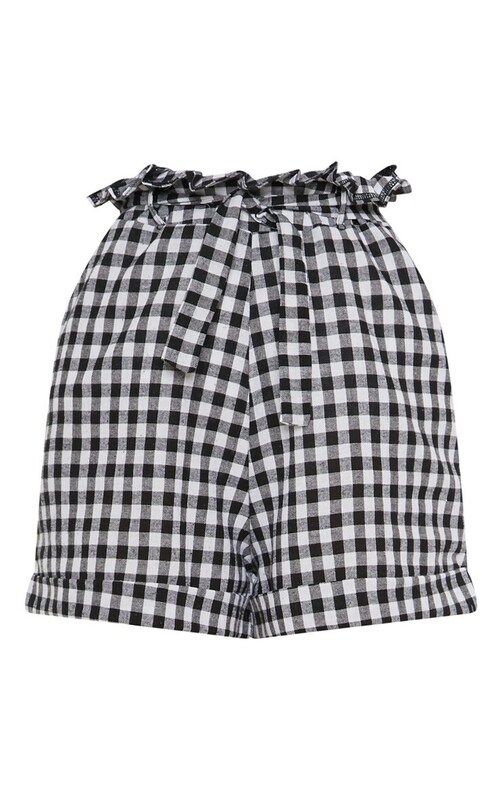 Gingham your thing? Damn right. 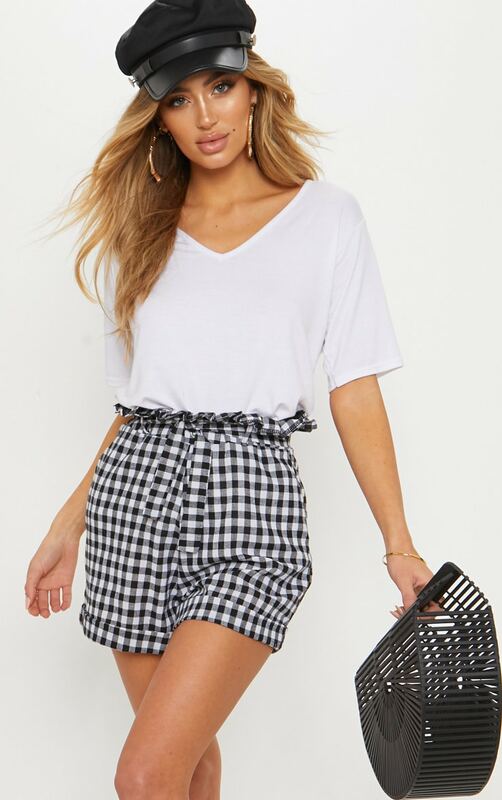 These shorts feature a black gingham fabric with a tie waist design, team with a simple V neck tee and complete the look with a baker boy and statement earrings for a blogger worthy casual look.